1. 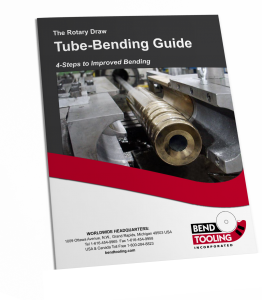 The thickening of the intrados of a tube while under the force of the bend forming process. If a compressive force exceeds the elastic limit of the tubing material, the tube will wrinkle or buckle. 2. The effect created by captive lip and heart-shaped cavities of slight flattening of the tube towards the plane of bend at the line of tangency.